An inscription on the monument to Friese Greene in Highgate Cemetery calls him ‘The Inventor of Kinematography’ and it is possibly this posthumous compliment that has caused his achievements to be first glorified then damned. He was born William Edward Green, the son of a Bristol metalworker. He changed his name when he married Helena Friese in 1874. Leaving school at 14 he was apprenticed to a local photographer, Maurice Guttenberg, and proved a fast learner with a special knack for portrait work. Within a few years they had parted company and Friese Greene had set up his own studio in Bath. He was very successful, so much so that by 1877 he also had two shops in Bristol and one in Plymouth. Around 1880 he met J.A.R. Rudge, a Bath instrument maker who had devised some novel adaptations of the magic lantern to create an illusion of movement. Friese Greene was fascinated by the idea and worked with Rudge, producing photographs, suggesting improvements and later demonstrating the lanterns at photographic societies and elsewhere. In 1885 he moved to London, opening two shops in partnership with Esme Collings. Once again, Friese Greene’s photographic talents proved both popular and fashionable – a number of other London shops were added over the next few years. In 1889 Friese Greene and civil engineer Mortimer Evans designed a sequence camera using ‘a roll of any convenient length of sensitised paper or the like’, capable of taking four or five pictures a second. Brian Coe has suggested that these were to be printed up as lantern slides for the double-lantern projector. There is no record of a successful film projection at this time; the claimed demonstration at the Chester Photographic Convention in 1890 was a failure. That same year Friese Greene used a stereoscopic sequence camera made by Frederick Varley, but once again there is no record of successful projection. In 1891 he was made bankrupt, an event which lead to the sale of almost all his equipment and considerable social disgrace. Various patents followed over the next ten years. In 1893, he patented a camera/projector almost identical to Varley’s stereoscopic model, but by this time E-J. Marey and Le Prince had both achieved success in recording sequences of images at rates in excess of those that any of these cameras were capable of. 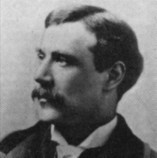 By the time projected motion picture films had achieved any commercial application, Friese Greene had abandoned the field. When the first films were being shown in Britain, he was demonstrating X-Rays. In 1896, Friese Greene teamed up with John Alfred Prestwich to make a camera and twin-lens projector, intended to eradicate flicker. 1898 was the beginning of his obsession with colour photography, albeit with a rather impractical patent for stills. In 1905, now operating in the Brighton area and working for a time with the experimenter W.N.L. Davidson, he took out a patent for colour moving pictures which pre-dated G.A. Smith and he later challenged Charles Urban in court over the Urban/Smith Kinemacolor process. He continued to develop colour processes throughout the rest of his life, with his son Claude carrying on his work and becoming a leading colour cinematographer. Aside from moving pictures, Friese Greene was a prolific inventor, who took out over seventy patents. Some were impractical, some were workable but before their time (for example, photo-typesetting), whilst others were commercially exploited (for example, rapid photographic printing for cigarette cards, reproducing photographs in magazines). The cost of his obsessive inventing and the chaotic handling of his business affairs led him into imprisonment, a further bankruptcy and separation from his second wife. Nonetheless, he had periods of wealth and success, and throughout it all appeared to remain optimistic about the future. His death at a film industry meeting in 1921 sparked a pang of guilt in an industry that had outgrown and largely abandoned those who had seen its birth, and attempted amends with his tombstone inscription and a lavish funeral wreath – a floral projector and screen with blooms spelling out ‘The End’.